My point of view regarding major health issues of our time. Considering the tremendous amount of pain associated with diseases and "avoidable" premature deaths, I humbly offer on this page, my thoughts and suggestions based on 75 years of a very good and healthy life... so far! 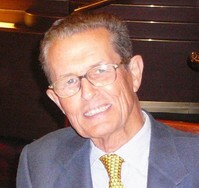 Many of our customers have heard me say "I was born in 1940 and so far I have yet to visit a medical doctor." For the average American this is unheard of! I think I am blessed with a robust constitution but also with a sense of balance when it comes to my day to day life. This includes the way I think, pray, love, eat, have fun, exercise and control stress! Always grateful -daily- for who I am and for the blessings I continuously receive. This being said... let's consider the major health issues affecting us and see how we can age gracefully by avoiding, with some intelligence, diseases, hospital beds, intensive care, etc. It is also important to consider how one's disease can have devastating consequences for family members and true friends! Then doing our best to stay healthy is also a moral obligation on our part as we do not want to become a burden for our children or society. What is your family "health" history? Has any member of your family been affected by heart issues, diabetes, cancer, alzheimer's etc?. An iridologist can very easily tell you what your constitution is. This is important to know because if you have a weak one you need to pay particular attention to your immune system and strengthen it. 3. Lifestyle and the environment. You are (healthwise) what you breath, eat, digest-assimilate and eliminate on a daily basis. If any of these functions do not work as it should, it will have a negative effect on the way you think and your energy level. Furthermore, it will affect one or several organs opening the door to discomfort first, then disease followed by numerous visits to your doctor, which leads to prescription medications, which leads to side-effects and more medication, until things are spiraling out of control. If you have issues with digestion visit this page. As we age we lose approximately 10% of our digestives enzymes per 10 years of age! If you have issues with elimination visit this page. 4. Your attitude in life. We are also what we think... Do we THINK positive? Do we consider others around us with a loving heart and positive thoughts? 5. Stress, anxiety, and trauma. All of us experience some degree of stress and anxiety. There's nothing wrong with that. It is uncontrolled stress and/or continuous anxiety that eats away at our defense mechanism and as a consequence our health and mind take the toll- a very heavy one! If stress or anxiety are affecting you, you need to take immediate action to counter balance its ravages on your adrenal glands! If you suffer from Adrenal Exhaustion, then you are more than likely deficient in essential vitamins, minerals, and amino acids. Without the proper amounts of these vital nutrients, your body’s ability to heal from any chronic condition is severely impaired. I have yet to see a customer suffering from cancer, who did not face a major trauma in his/her life. A trauma, that is not dealt with properly, may have devastating long term consequences on one's health. According to Dr. Mercola M.D. "Emotional stress is linked to health problems including chronic inflammation, lowered immune function, increased blood pressure, altered brain chemistry, increased tumor growth and more. Of course, emotional pain can be so severe that it interferes with your ability to enjoy life and, in extreme cases, may even make you question whether your life is worth living." I have had my dose of trauma in my life, but knowing the consequences, I have always refused to be a "willing" victim of a traumatic situation. It is not easy, especially when due to the loss of a child, a friend, or a wife/husband you have deeply loved! It is simply to use the extraordinary "natural" tools that we have to PREVENT health issues from affecting all those who trust us. It is also to share our basic knowledge of the human body and mind with those willing to learn. In all cases, it is highly recommended to review all our suggestions with your medical doctor or qualified health professional. Major diseases affecting the western world today. Click on the links below to read what we suggest to prevent and/or support in the case of each major disease listed below. One out of every four persons will die of a heart related disease! 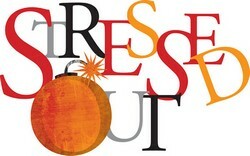 Stress/trauma/lifestyle can have a direct effect on your heart and the circulation to and from yout heart. You can easily find out if your Heart/Circulation need help by answering this survey. Of course the subject of cancer is far too involved to adequately address on this site, but we can at least acquaint you with some important information about cancer from a natural healing perspective. Control stress/trauma as explained above (take at least Nutri-Calm or Adrenal Support - follow directions on label). A full organ cleanse at least once a year. Tiao He Cleanse is the best herbal combination for this purpose. Take Protease HP and C-Herb Internal (a 21 day program) once a year (Call us for direction, very important: 407-740-8084 E.S.T.). If you have cancer, however, this information is not adequate to develop an effective natural program to help with your issues. We strongly encourage you to seek professional help when dealing with cancer. You need competent health care professionals helping you with your program and monitoring your progress, but you should also do some study on your own and learn about things you can do for yourself. Reduce the level of exposure to common risk factors, particularly tobacco, poor nutrition, and environmental air pollution (indoor, outdoor, and occupational). If one has been subject to frequent lower respiratory infections during childhood, strengthening the respiratory system could be very helpful. If you are subject to respiratory disease go to this page for suggestions and support. 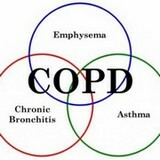 For Asthma consult this page. Feather Jones, a former president of the American Herbalists Guild, described a woman in this condition as having "Cheeseburger blood." Thick or stagnant blood is involved in a wide variety of conditions such as varicose veins, hemorrhoids, uterine fibroids, prostate problems and more. Blood that is too "thick" also increases our risk of thrombosis (the formation of blood clots in the circulatory system) which causes heart attacks, strokes and other diseases of impaired circulation. Medical doctors put people on blood thinners to reduce the risk of these disorders. Fortunately, there are herbs available that work as natural blood thinners. Blood purifiers generally help to thin the blood, but there are some more specific herbal remedies that help to filter the "sludge" from our life-stream. Alfalfa contains natural blood thinning agents called coumarins. Taken in capsules or eaten as sprouts, alfalfa can be very beneficial in thinning the blood. Another great herb for preventing blood clots in the circulatory system is butcher's broom. This herb is very effective in preventing postoperative thrombosis and blood clots in the legs. It is also helpful for varicose veins. It accomplishes this feat without increasing the risk of bleeding. Vitamin E has long been used for these same purposes. Another great remedy for "thick" blood is horse chestnut found in the formula Vari-Gone. Vari-Gone also contains butcher's broom. Ginkgo enhances peripheral circulation and improves blood flow to the brain. It also helps prevent blood clots from forming. General strengthening for effects of aging. Ginkgo has been used by Chinese for centuries to build vitality and alertness. Hawthom berries build the heart and improve vascular and coronary blood flow. Together, the combination is used to help recover from a wide range of diminished mental and physical capacities. It is combined with hawthorn, one of the best general herbs for heart health. For more information and support read this page. Most herbal and nutritional remedies will slow the progress of Alzheimer's, but may not completely halt or reverse the progress of the disease. I believe that this disease is an environmental one. It may be prevented by avoiding as best you can heavy metal and environmental pollution. Minimize exposure to alcohol, tobacco and environmental toxins. Eat generous servings of fresh fruits and vegetables every day and stay mentally active. 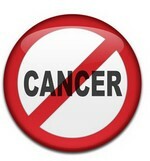 Call us and ask us to check (based on symptoms) if All Cell Detox as well as Heavy Metal detox would be good for you. 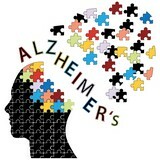 If Alzheimer's has started, antioxidants can slow deterioration. Mind-Max may be helpful in enhancing cognitive function in Alzheimer's patients. It may also be helpful to improve circulation to the brain and chelate toxic metals by doing an Oral Chelation program. In type 2 diabetes (the most common), either the body does not produce enough insulin or the cells ignore the insulin Insulin is necessary for the body to be able to use glucose for energy. When you eat food, the body breaks down all of the sugars and starches into glucose, which is the basic fuel for the cells in the body. Insulin takes the sugar from the blood into the cells. When glucose builds up in the blood instead of going into cells, it can lead to diabetic complications. The herb industry is unsurpassed in its variety of single and combination herbs that deal with diabetes. 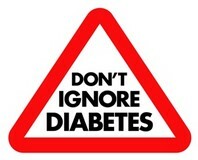 Herbal formulations help alleviate the symptoms of diabetes and the many complications that stem from this disease. Visit this page for info and product support. Also known as influenza, the flu refers to viral infections accompanied by nausea, vomiting, diarrhea, fever, malaise, body pain, and respiratory symptoms. The media is constantly warning people about flu epidemics to scare people into getting vaccines, but the truth is that very few people die of the flu. Most of the people who die of the flu are elderly or have compromised immune systems. Besides, there are numerous effective natural remedies for the flu. 1. Simply wash hands frequently and use Silver Shield Gel as a natural hand disinfectant. 2. 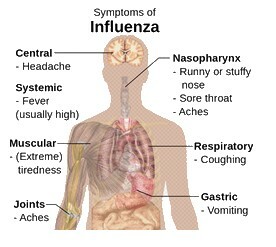 Boost the immune system with Immune Stimulator or Trigger Immune when the flu is "going around." If you do get the flu. Take a good antiviral remedy such as Elderberry D3fense and add Silver Shield taken internally. Other great flu remedies include HCP-X, FV and IF-C.
For settling the stomach flu, two of the best remedies are ginger and peppermint essential Oil. For flu with aches and fever try APS II with white willow. The kidneys cannot do their job without a sufficient amount of water, so remember to drink enough good water. Certain nutritional elements are important to keep the kidneys healthy so you don't experience the various kinds of pain produced by discontented kidneys such as bladder infections, kidney stones, or pain in the lower back. The kidneys can be poisoned, clogged, malnourished, ruptured by blows, and overworked until they begin to break down. Blood in the urine is a sign or could be an infection of the filtering tubules. The kidneys purify 45 gallons of blood every day. Considering that you have 7 to 8 liters of blood in your body, this means that your entire blood volume gets filtered approximately 20 to 25 times each day! 1. The kidneys cannot do their job without a sufficient amount of water, so remember to drink enough good water. 2. Check this page for possible symptoms linked to kidney issues and herbal suggestions. Check this page for much more info and products related to kidneys and bladder issues. I am hoping that this page will be of benefits to you as well as family members, friends, co-workers etc. Based on official statistics our chances of aging and dying "gracefully" are at best very limited. But what is not limited is our given power to understand what is at stake and take advantage of the natural tools that are available to not only "prevent" but also to seriously improve one's health. If you need to get in touch with us at Four Winds Nutrition, go ahead! Call us at 407-740-8084 (E.S.T.) and we shall be glad to answer your questions as best we can!